The closure of Jimmy’s continues a change in the local barbecue scene. Five years ago, seven restaurants participated in the annual Barbecue Festival. The closing of John Wayne’s Barbecue and Whitley’s Barbecue dropped the number to five, and now it will fall to four. The remaining restaurants and festival organizers may want to consider adding some of the county’s other barbecue restaurants to gain more manpower and food for the annual event. Speedy: I recently took a trip to visit a college friend in Kansas City, so of course had to check out the barbecue while I was there. We unfortunately had a fairly packed schedule, so waiting in line at Arthur Bryant’s or Oklahoma Joe’s wasn’t in the cards, but fortunately, there’s plenty of ‘cue to choose from in the city. 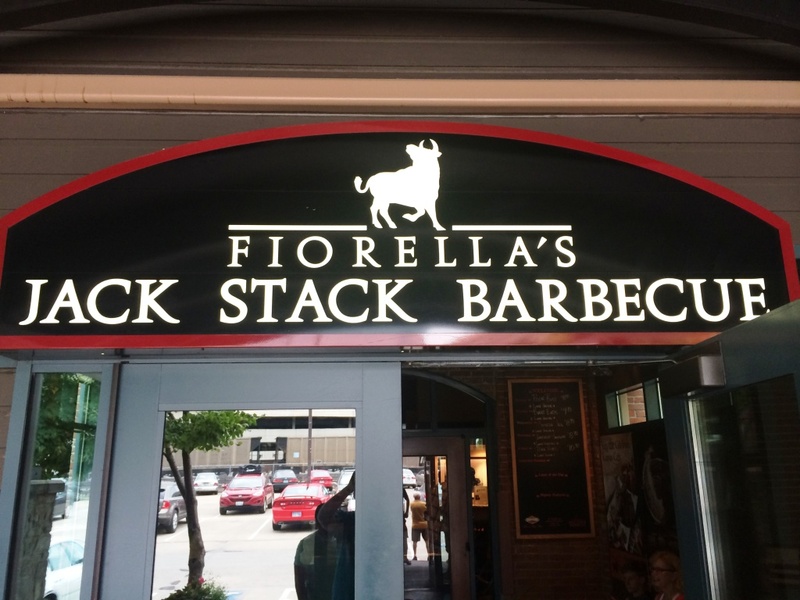 Going in, I had never heard of Jack Stack, but if the smell outside was any indication, I was in for a treat. 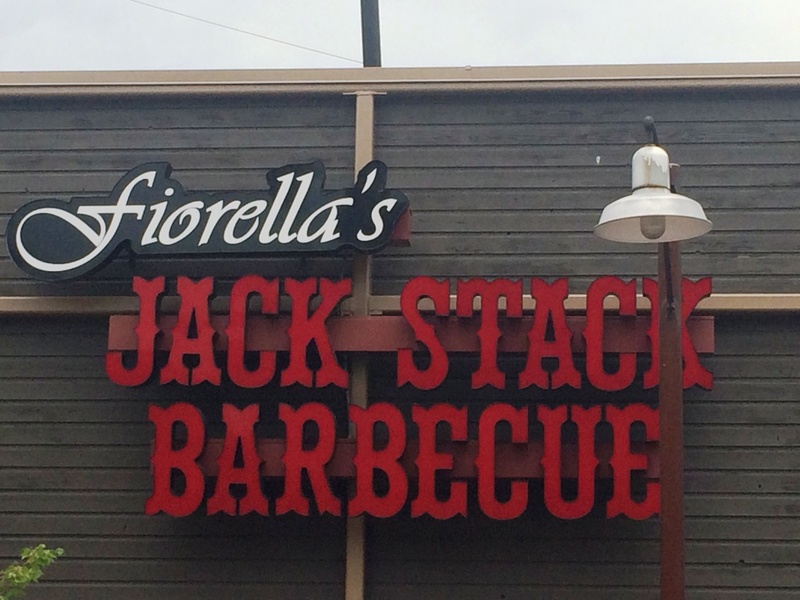 Jack Stack isn’t your old school barbecue joint – and by that I mean there’s a hostess and waitresses. It definitely has a more modern feel. There are pros and cons to this – mostly that you can buy beer, but the barbecue generally isn’t quite as good. It’s a tough trade-off to make, but I happily ordered a local brew upon seating. 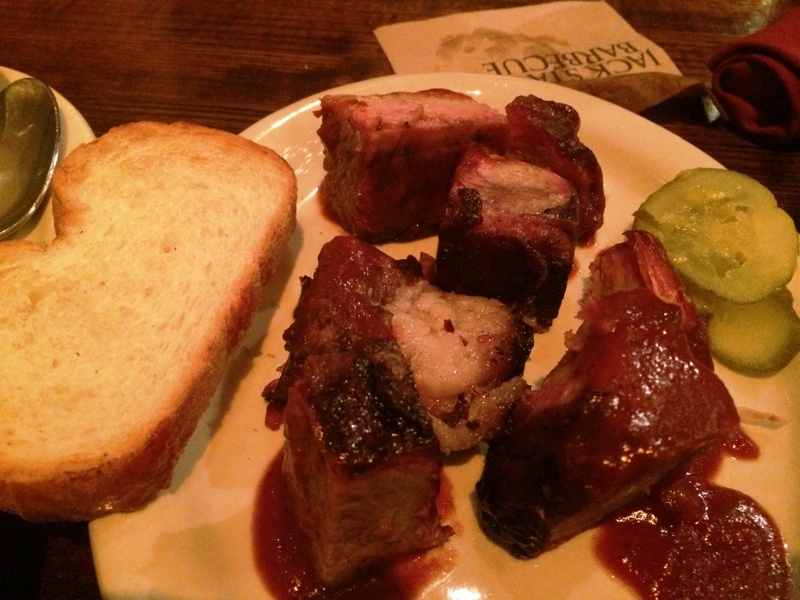 The menu at Jack Stack is pretty diverse, so I was pretty happy when our group decided to order the burnt end appetizer, meaning I could try something else as my entree. I was surprised to see on the menu that they offered beef, pork, ham, and sausage burnt ends, as I had only heard of beef (which is what we ordered). I’d be curious to know other people’s experiences with non-beef burnt ends. The burnt ends came and were gone very quickly. They were served with a spicy and non-spicy sauce, but I’m a man so I only had the spicy. It was really, really good. 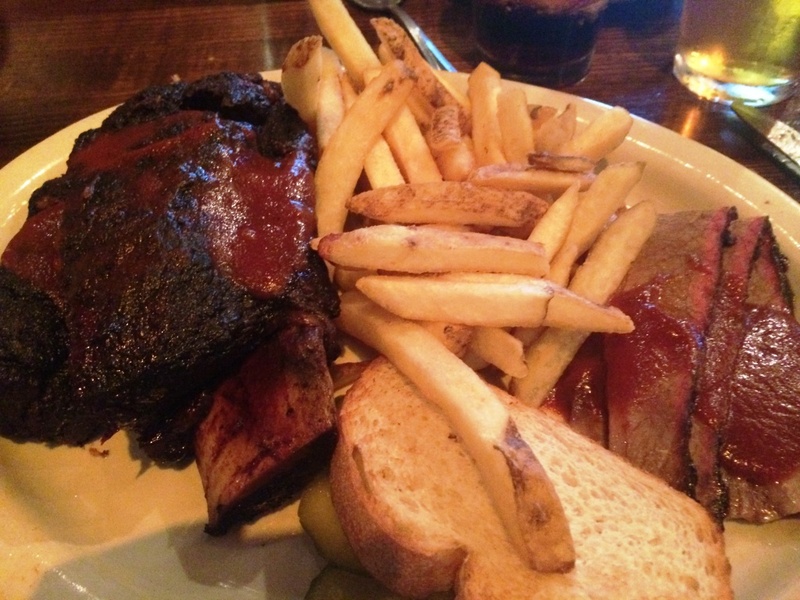 Overall, the burnt ends were pretty good but not the best I’d had, which was a little disappointing. I was hoping to have been blown away. I would like to have had a little more bark to the meat, but overall, it was enjoyable. It’s worth noting that I would be thrilled to have these burnt ends in NC, but I don’t think they are better than what you can get at Midwood Smokehouse. The brisket came sauced, which my man Rudy says is a bad sign. I don’t think it was used to cover old brisket, because there was a good tug to it – just not quite as much smoke as I’d like. In NC, this brisket would be considered good to very good, but in Texas (and I’m assuming Kansas City), it was just average. The beef rib, however, was another story. It was fantastic. I flip flopped over ordering it due to the additional $8 cost, but am glad I did. It was amazingly tender, had great flavor, and was by far the highlight of the meal. 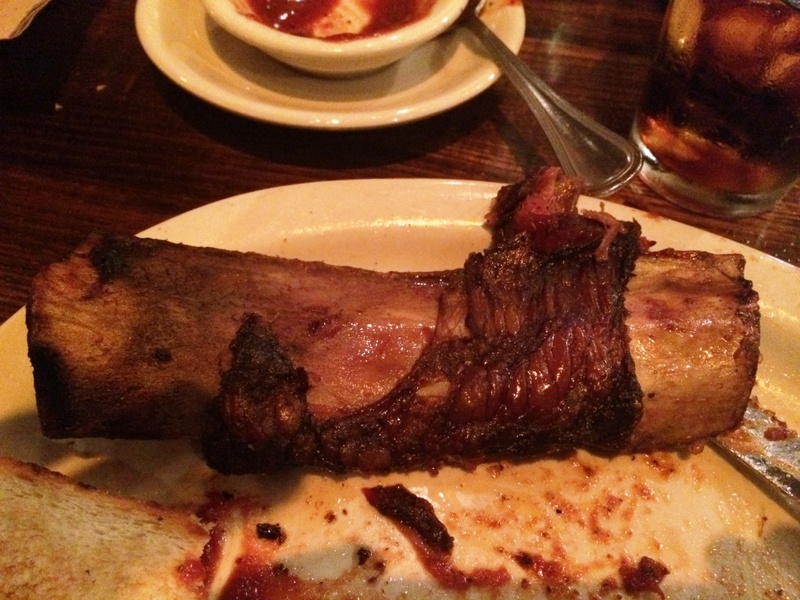 I thought it came damn close to the best beef rib I’ve ever tasted (at Black’s Barbecue). This is definitely the order if you come to Jack Stack. I honestly don’t remember anything about the sides, so I’ll leave that as an N/A. If you care, then you’re reading the wrong site. Monk: So what’s the final verdict? Did you regret not being able to wait in line at one of the more well known joints or were you pleased with this taste of KC barbecue? I also want to point out that this is the first official Barbecue Bros review in Mizzourah. Speedy: I do. If I get the chance to go back to KC, I definitely want to check out one of the more known places. To me, I feel like if there’s great ‘cue there, the wait would be worth it. Overall, it was a good meal, but I did expect a bit more.